Aside from getting hormonal acne that doesn’t seem to want to leave me alone, PMS mood swings affect me pretty bad. I call myself the angry grump who hates life around that time of the month, and it’s so true. I will get pissed off with the smallest things, and for little or no reason at all! Most of the articles I read say that omega 3, iron, calcium and magnesium is brilliant to combat PMS. I’ve eaten lots of almonds, walnuts, pistachios and hazelnuts lately, combining them with oatmeal, some dried fruits, extra virgin olive oil and dark cocoa powder. It really tastes like a delicious treat, yet it’s healthy and not overly sweet. 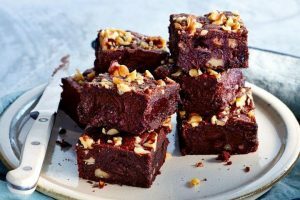 Dark cocoa powder in its raw form is a powerhouse of antioxidants, and the best thing about making this treat is, it feels as if you’re eating a seriously delicious treat (like how you’d feel when you’re eating brownies), but you don’t have to worry about it doing bad things to your body! I really mean eat your veggies, and the main ones should be: kale, broccoli, spinach, carrots and tomatoes. I find that usually ina day, there isn’t that much of a chance to eat this many types of vegetables because cooking takes time and not everyone has that time each day. 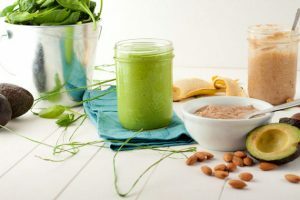 So, to ensure you still get all your nutrients, just put it all in a blender and you’ve got yourself a super drink powered by all the nutrients you will need (add a tablespoon of chia seeds for extra benefits). I want to once again clear up anything about green smoothies, firstly it doesn’t have to be green. In fact, mine kind of always turn out dark green, it looks almost like algae from the ocean, but the taste is good and that’s all it should matter. We’re not drinking it to please anyone but for our own health, so it really shouldn’t matter how it looks. Also, putting a bunch of vegetables WILL NOT MAKE the smoothie taste bad in any way, nor will you feel as if you’re eating raw vegetables. It all gets overpowered by the fruit, and chances are you will not even taste it. My husband who refuses to eat cucumbers at all cost and hates them with a passion (thinks they’re bitter) will drink a smoothie I made with a cucumber in it, and he would not be able to tell. 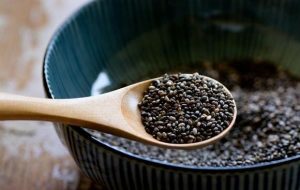 I’ve already mentioned in my other article about all the benefits of chia seeds. The high amounts of omega 3 in this seed is definitely a great help in fighting those PMS symptoms! It’s funny but ever since I made some big changes in my diet this month, I noticed that even without taking supplements (magnesium, calcium and zinc), my mood is actually better! Perhaps it’s got to do with the foods? Well, only time will tell, but meanwhile, there’s no doubt in my mind that these foods have helped!